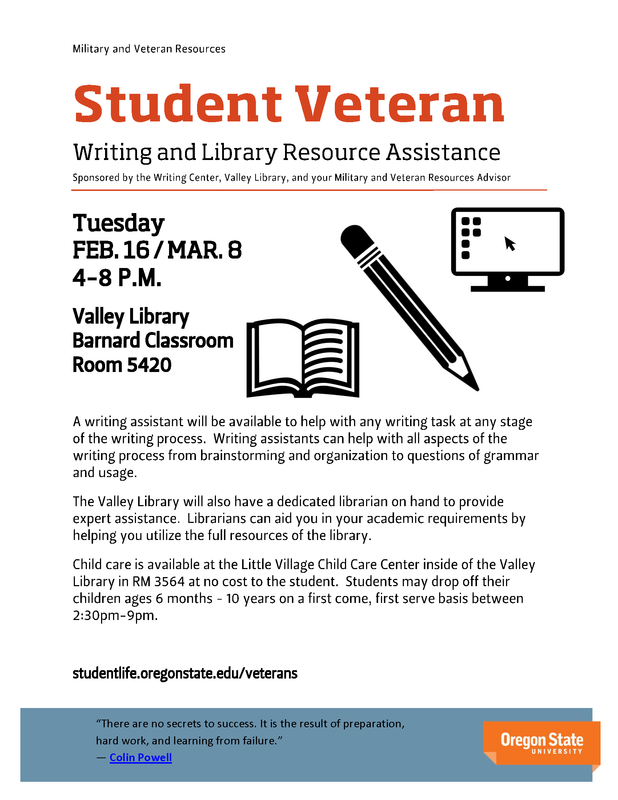 A writing assistant will be available to help with any writing task at any stage of the writing process. Writing assistants can help with all aspects of the writing process from brainstorming and organization to questions of grammar and usage. 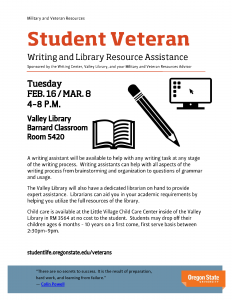 The Valley Library will also have a dedicated librarian on hand to provide expert assistance. Librarians can aid you in your academic requirements by helping you utilize the full resources of the library. Child care is available at the Little Village Child Care Center inside of the Valley Library in RM 3564 at no cost to the student. Students may drop off their children ages 6 months – 10 years on a first come, first serve basis between 2:30pm-9pm.